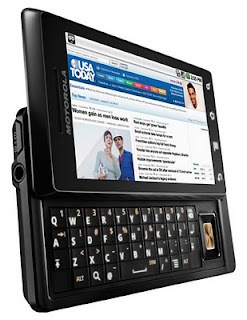 Last week, after Apple did not announce an iPhone for Verizon at WWDC (no surprise really), I got tired of waiting and got a Motorola Droid. And I must say, it's better than I thought! 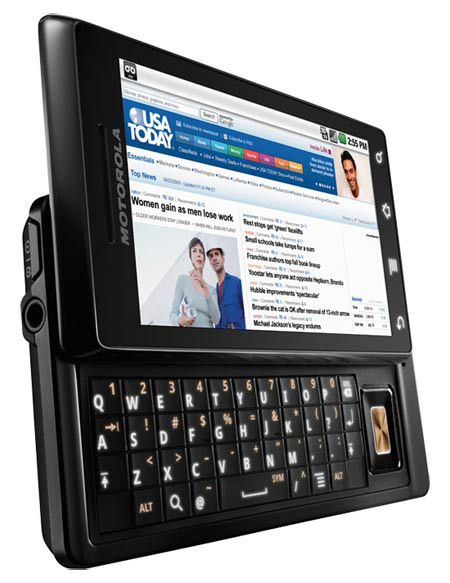 Perhaps I shouldn't be since it's gotten strong reviews, sold over a million units, and has resurrected the Motorola brand. But it's probably because everyone at work has iPhones and this week, they were all going crazy trying to pre-order their iPhone 4.0. But that's another story. So what's cool on the Droid? Google Voice integration - I love using Google Voice but was annoyed when I called people, it would show the phone number of the device I was calling from and not my Google Voice number. For example, if I called someone who had my Google Voice # in their cell phone, they wouldn't recognize my called ID on their phone. Well, the Google Voice app on the Droid let's me choose for every call if I want my Google Voice # of my device's real phone number to show on the recipient's caller ID. So, now, I can call and receive calls on my one Google Voice #. Awesome! Built in turn-by-turn voice navigation app - Google Maps with GPS already rocks (even iPhone users can't deny that!). Throw in turn-by-turn audible navigation and make the feature native and free, you got a winner! Separate Google and Corporate Email and Calendar apps - I like to keep my personal and work life separate. As a Google OS phone, this is probably no surprise. But I like the fact that there are distinct Gmail and Google Calendar apps, in addition to my Outlook email and calendar. Google Sky Map - Whether you're an astronomer or not, this is cool. Point your phone to the night sky and it overlays the star constellations so you can find the Big Dipper the next starry night. Google Goggles - Have only played with this a little bit. But it's a cool way to search for relevant information based on where you point the camera on the phone. Read more here. And soon, with Froyo or Android 2.2, I hope to run Flash on my Droid. Take that iPhone! So, with my new Droid, I love the legendary Verizon nation-wide coverage and 3G data speeds. I also have an iPad 3G and despite the AT&T commercials you see with Luke Wilson, don't be fooled. Verizon kicks *ss! There are times when I get no signal on my iPad, so I flip open my Droid and I can make calls and surf the web in the exact same spot on Verizon. That's the only proof I need. Back to the title of my post...why don't I want iPhones on Verizon...even after lusting after it for 6 months? Simple, I'm selfish =) If you believe this report, Verizon could gain 7 to 8 million iPhone users on its network should it carry the iconic Apple phone. I don't want those iPhone data bandwidth vampires on MY network. I'm not foolish enough to think that Verizon won't face some of the challenges that AT&T has faced with capacity on its network. So, I don't want to see my 3G coverage go down...plain and simple.